Happy Halloween!! What are you dressing up as today? Any fun themes? I love seeing all of the costumes my friends and clients share on social media. I don't get trick or treaters where I live, so seeing the photos is always so fun for me! 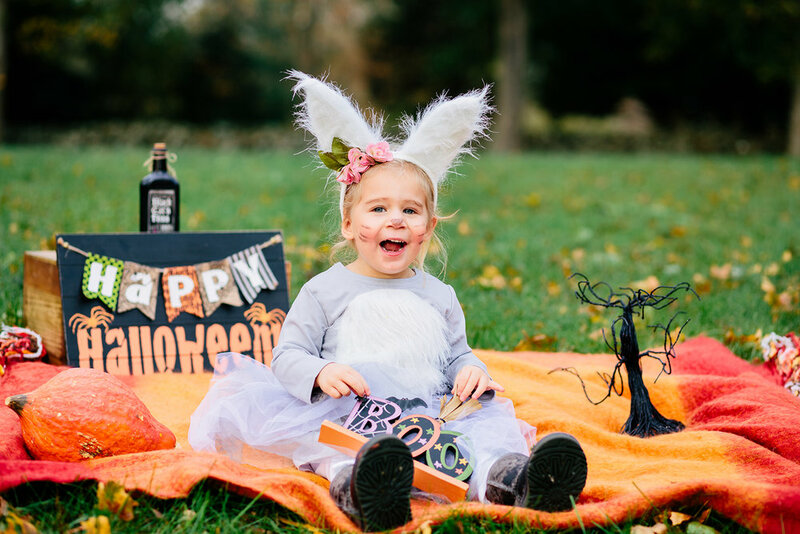 I figured today would be the best day to post this adorable Halloween Mini Session that I did! This sweet little bunny is too adorable for words. 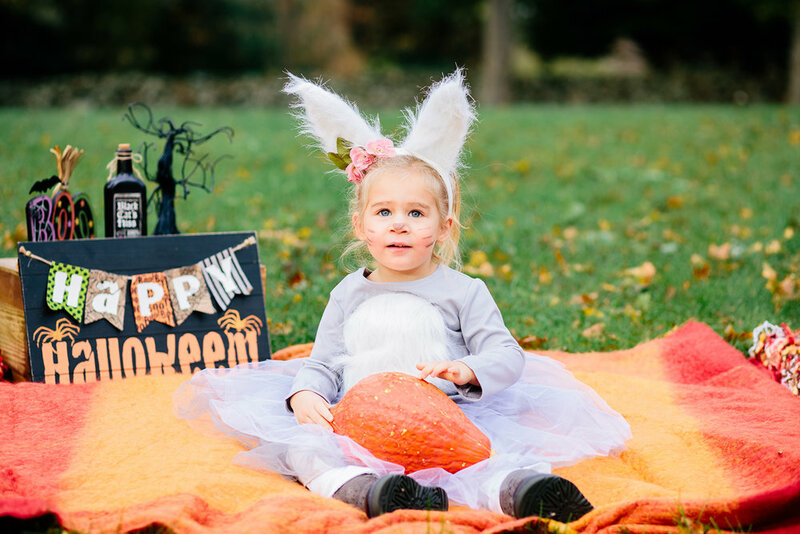 I hope you enjoy these photos and have a happy and safe Halloween! !